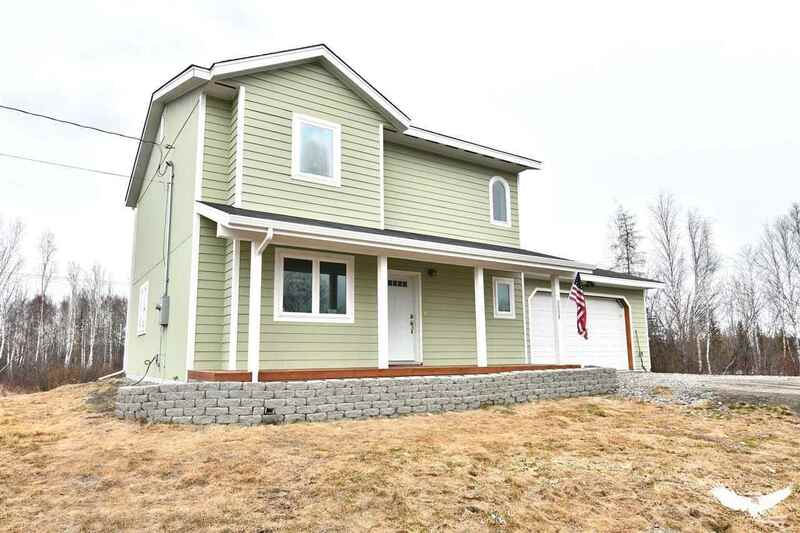 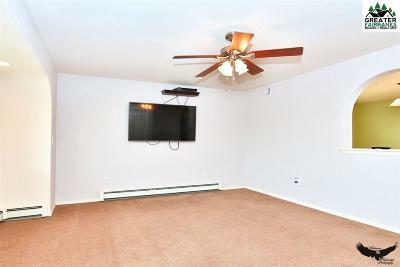 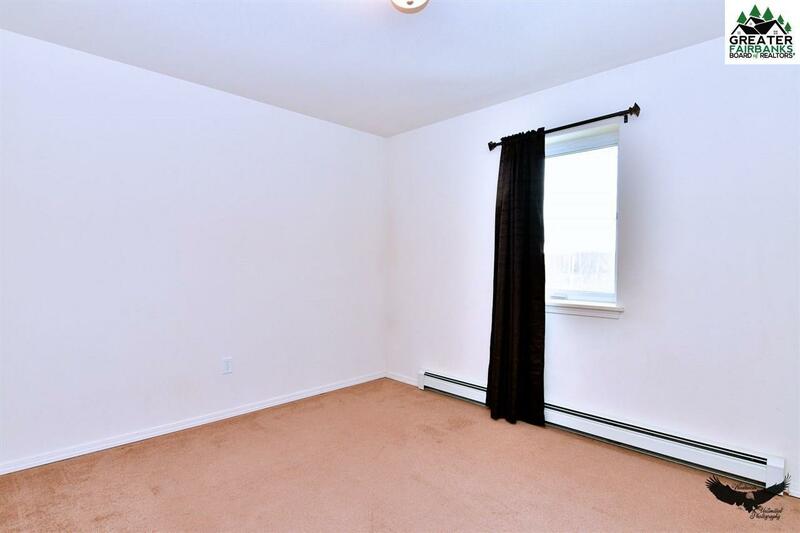 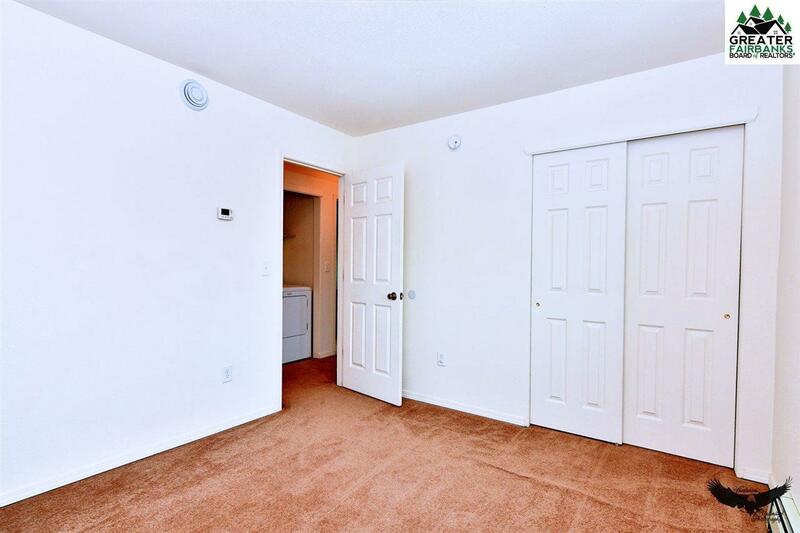 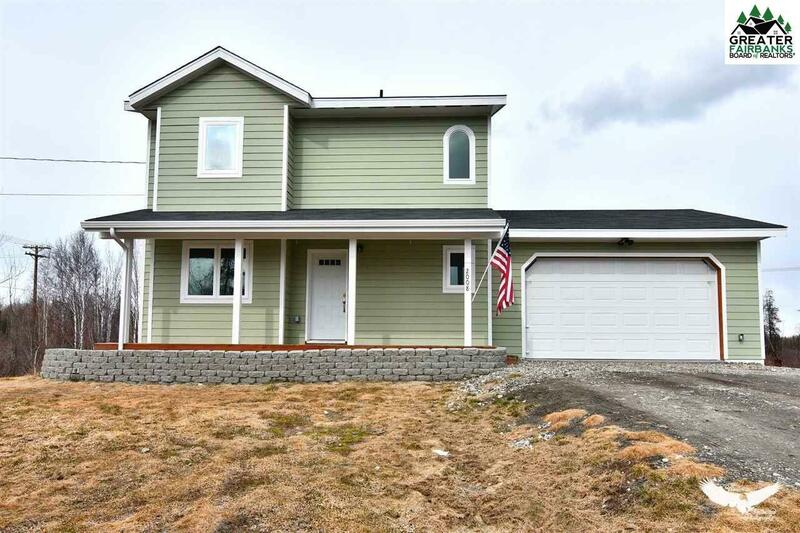 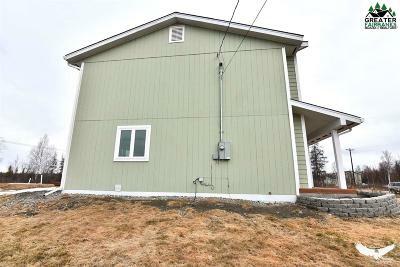 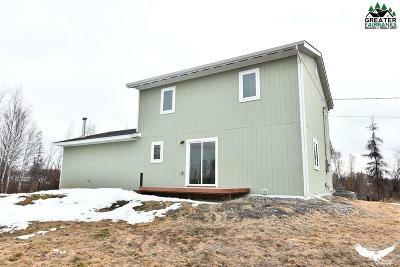 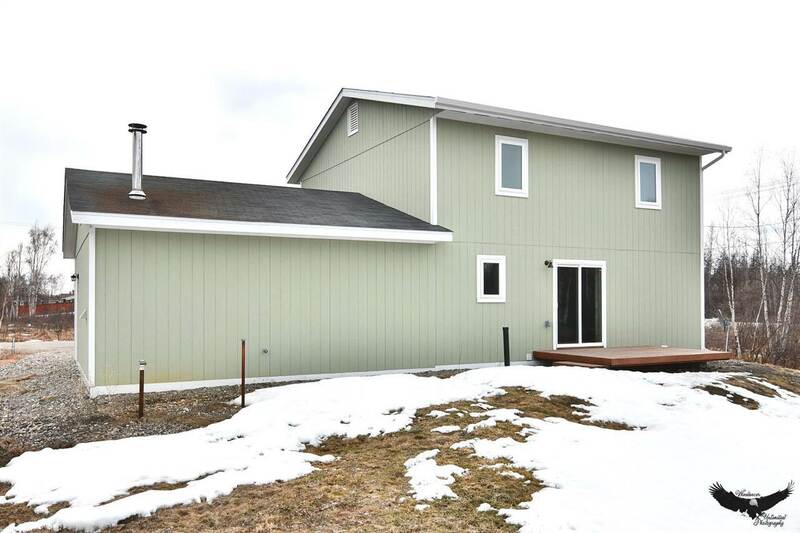 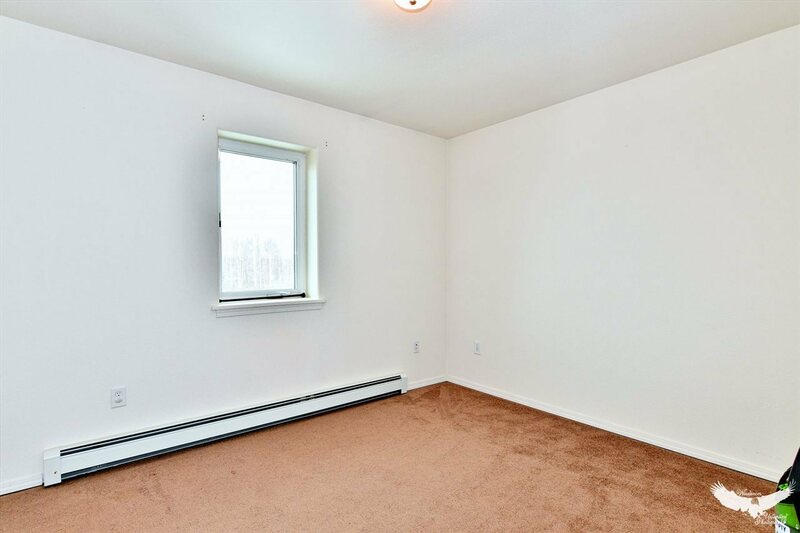 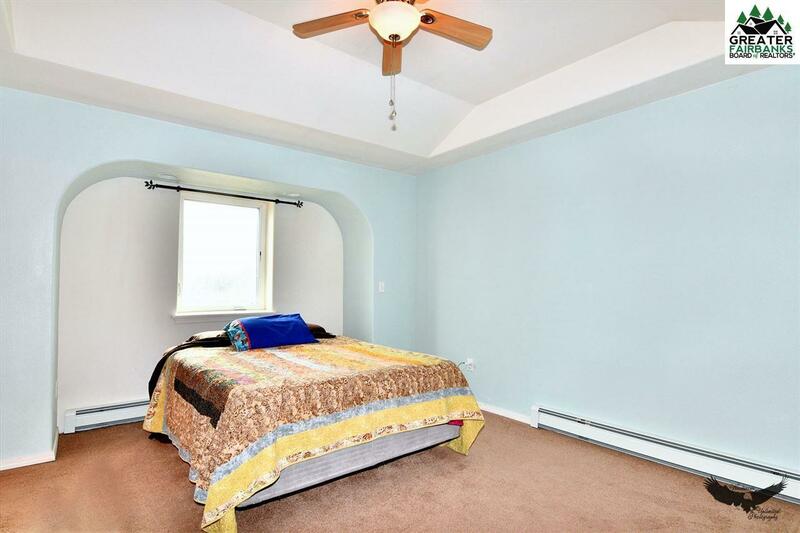 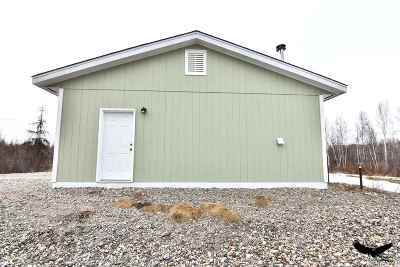 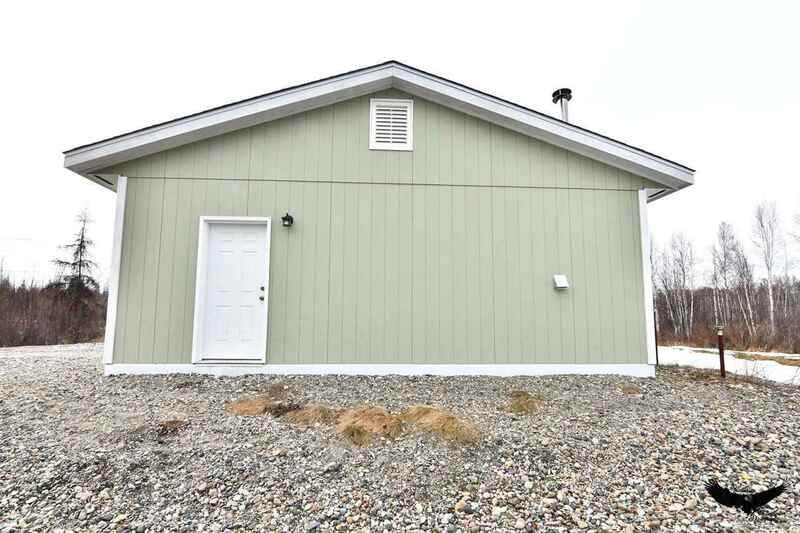 Fantastic home located minutes from back gate of Fort Wainwright and easy commute to Eielson. 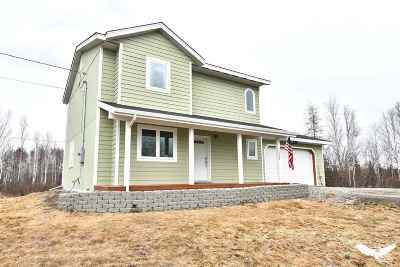 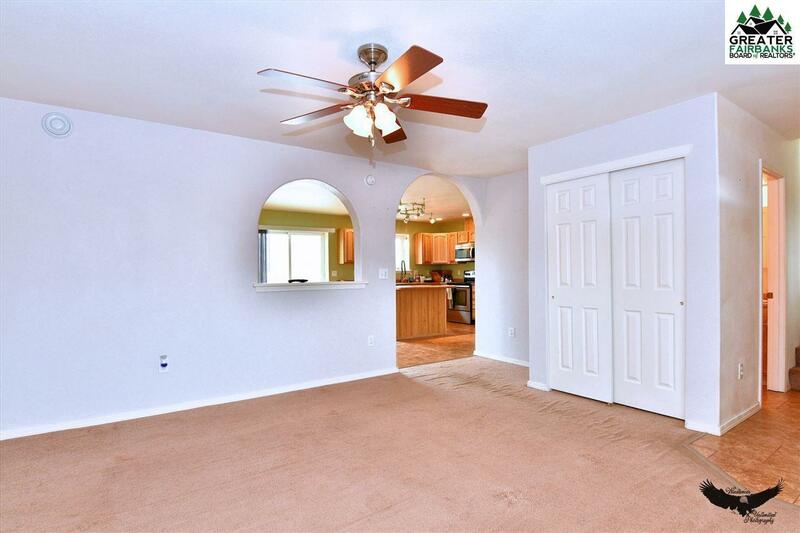 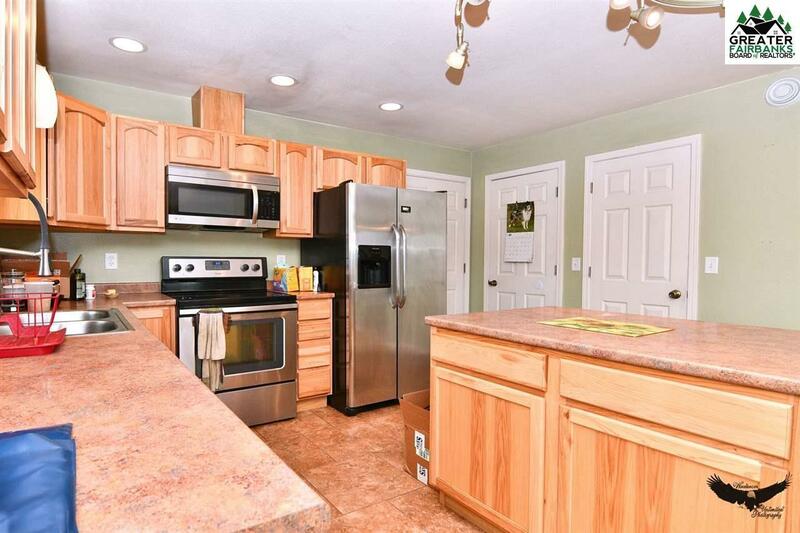 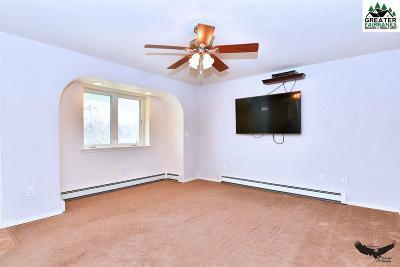 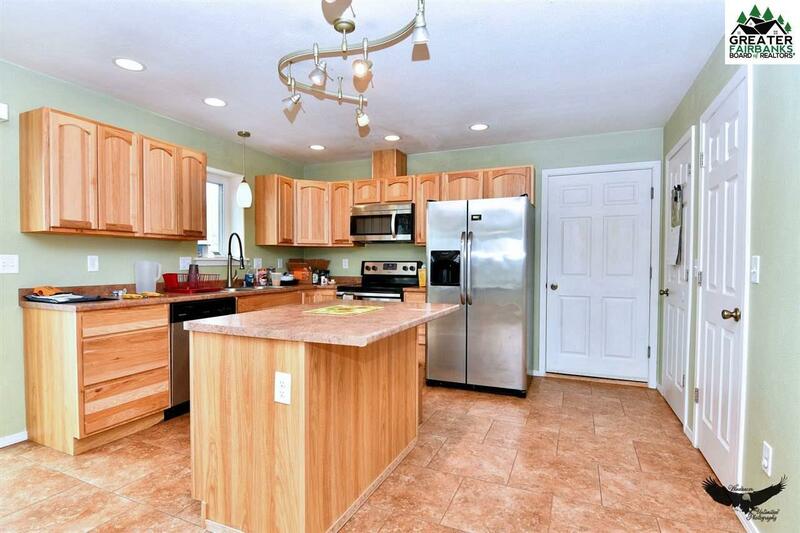 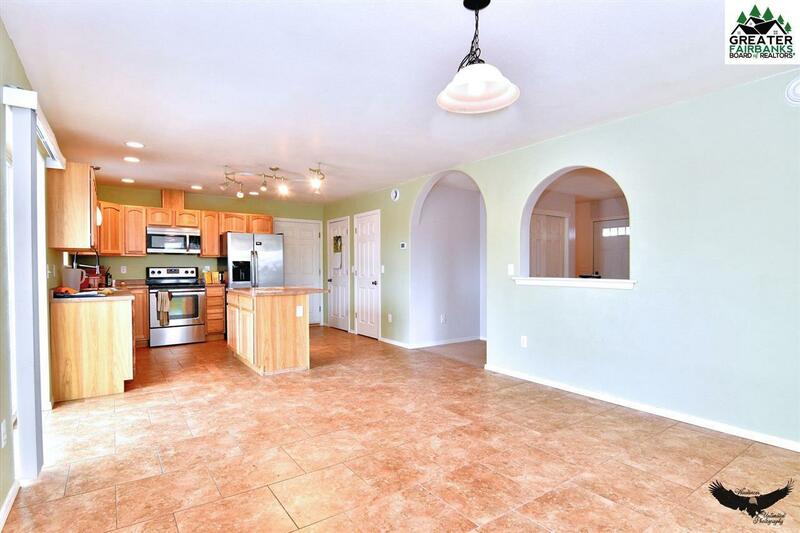 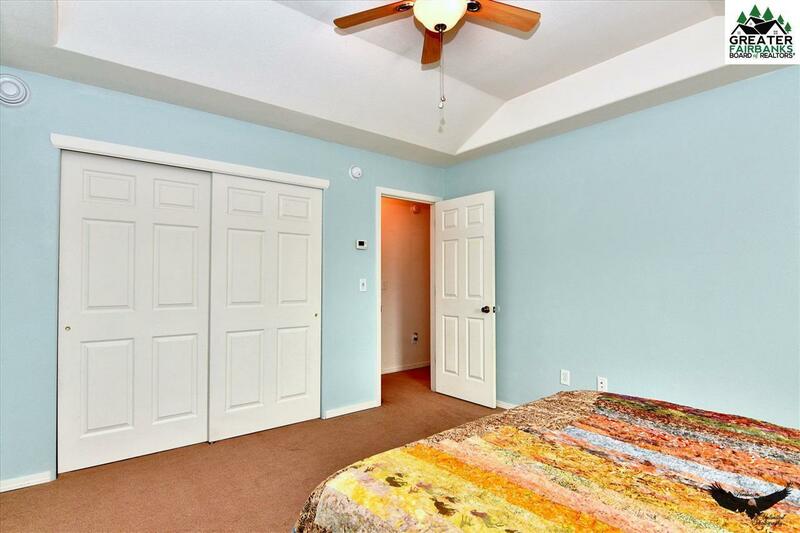 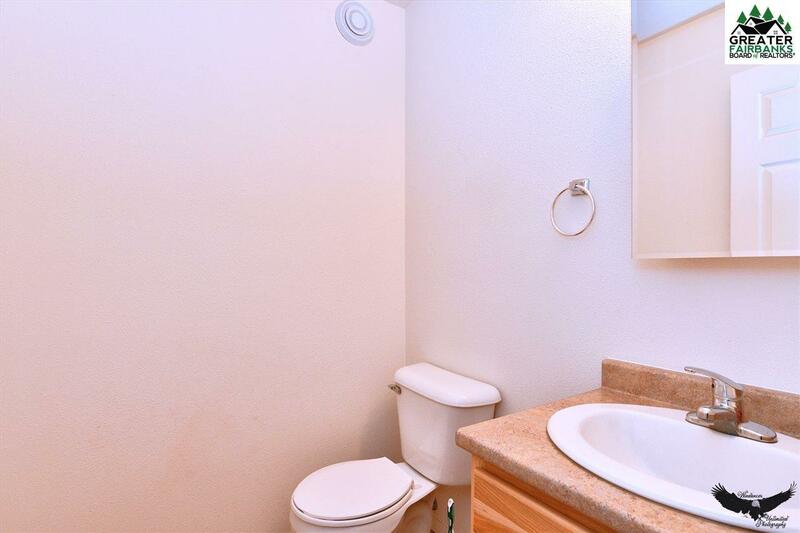 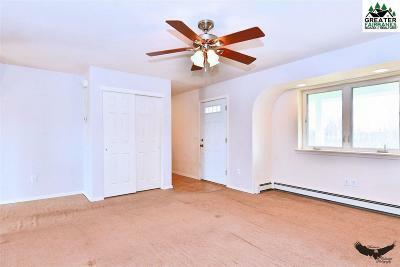 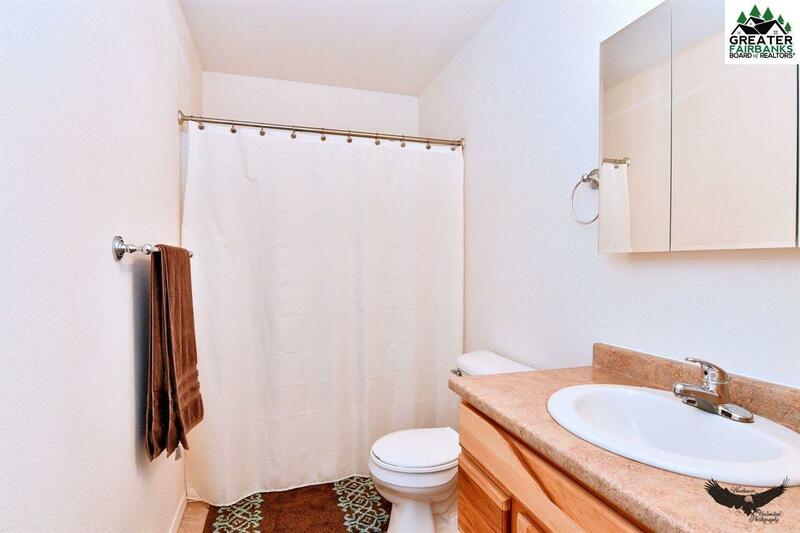 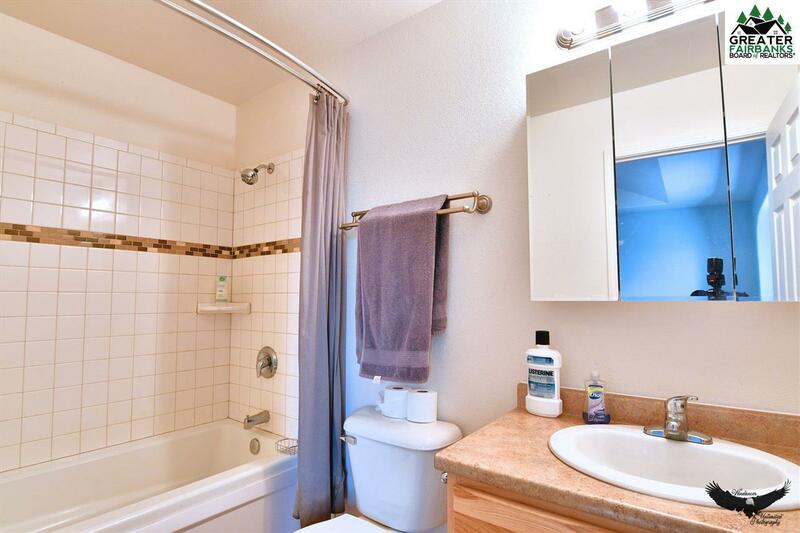 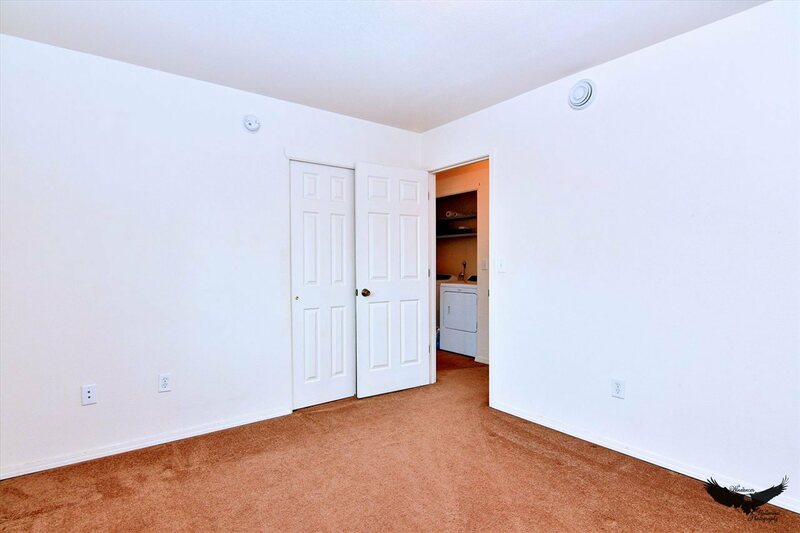 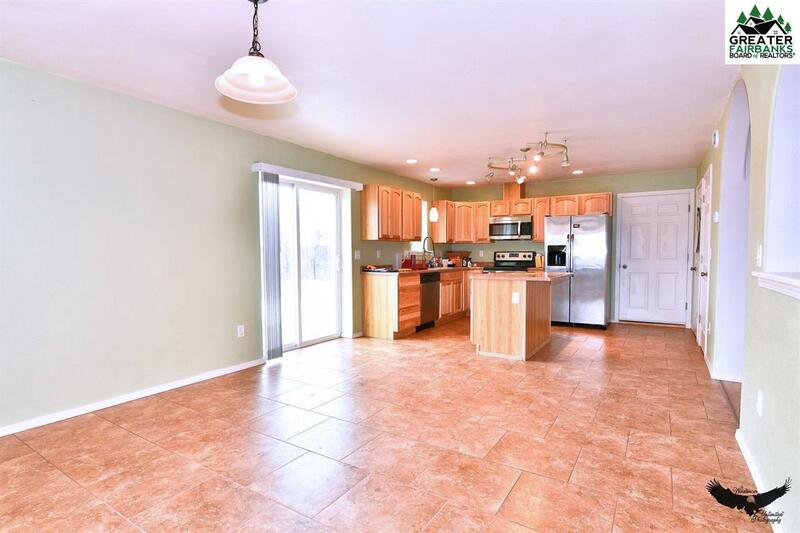 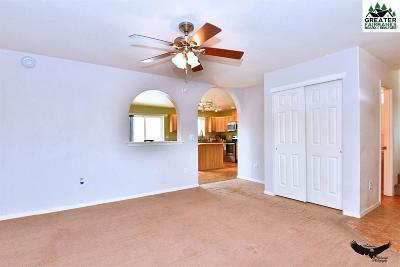 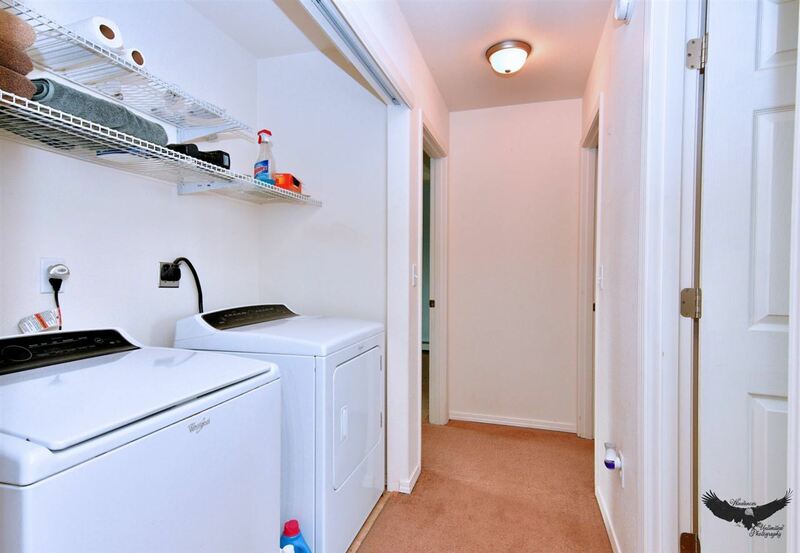 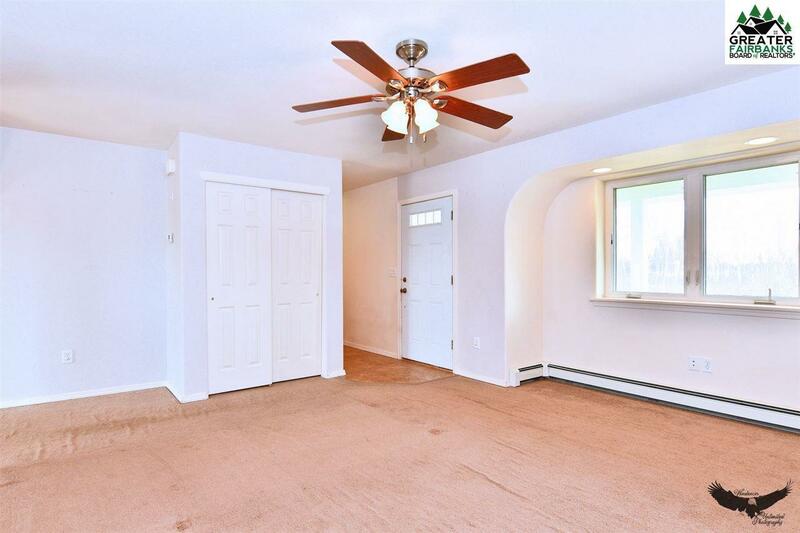 Three Bedrooms, 2.5 bathrooms and 2 car garage, 1608 sq ft with 572 sq ft garage. 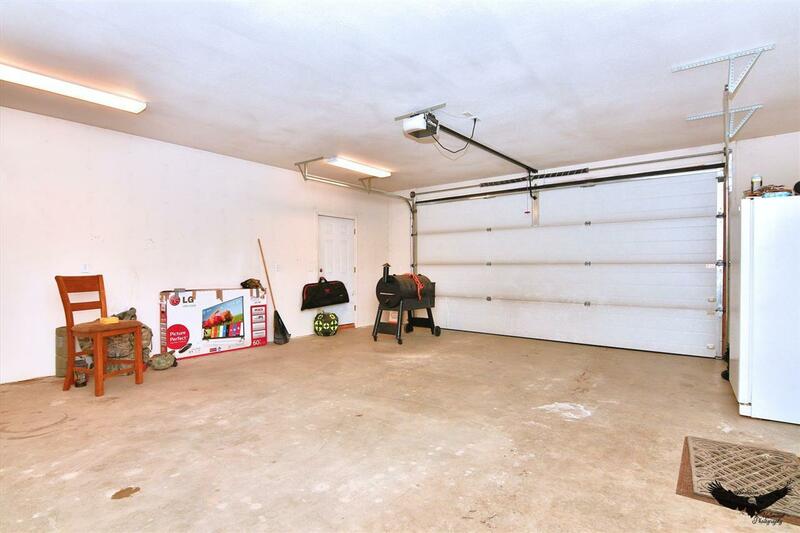 40k sq ft lot. Front covered porch to help get out of the rain or to sit and enjoy the Summer Sun.